Sana* is a force to be reckoned with in the IP world, and it’s easy to see why. Sana takes on matters that would intimidate others without a molecule of hesitation. She earns the trust of her clients for her thorough grasp of their situations and her compelling courtroom presence. When faced with challenging problems, she doesn’t just provide answers, she creates§ value for clients, no matter their business. She is as comfortable delving into the details of a chemical synthesis as she is analyzing source code. It’s no surprise that she has been recognized as a Global Female IP Star and one of Canada’s 80 Women to Watch. In even the most complicated cross-border disputes, Sana works constructively with experts and international counsel to identify novel solutions‡ for any problem. But if a solution can’t be precipitated, her clients are glad she’s on their side. Her scientific acumen and passion for advocacy are a winning combination in any context. .
Sana's practice is primarily focused on intellectual property litigation. In patent matters, she has experience with numerous industries, including pharmaceutical and biologics, information technology (including software), telecommunications, gaming, oil and gas, and heavy industrial. In copyright, trademark, and trade secret matters, Sana has represented diverse clients including software companies, furniture manufacturers, fashion designers, and media companies. Sana has represented clients at all levels of the Ontario and Federal courts, including the Supreme Court of Canada, and regularly provides strategic patent and regulatory advice. She has also acted pro hac vice in patent actions in the United States, and has extensive experience as part of international teams litigating large cross-border disputes. Sana is frequently invited to speak on topics in intellectual property, advocacy and diversity in the profession. She teaches trial advocacy at the University of Toronto, and is a co-chair of its Academic Tribunal. Sana is Chair of the Litigation committee of the Intellectual Property Institute of Canada (IPIC), as well as co-Chair of IPIC's Women in IP Networking Group. Sana is also fluent in French. Prior to entering private practice, Sana clerked for Justice Rosalie Abella of the Supreme Court of Canada. Sana is a registered US and Canadian patent agent, as well as a Canadian trademark agent. Retained by appeal counsel to conduct a mock appeal for an infringement case involving a patented wellbore completion method. Counsel to an integrated oil and gas client in developing a risk matrix for management of patent risk in development of new technologies. Counsel to Ingram in a patent infringement action involving patents to monitor stands. Valeant Canada LP v Ranbaxy Pharmaceuticals Canada Inc. Counsel to Valeant in proceedings pursuant to the PM(NOC) Regulations relating to Wellbutrin XL (bupropion hydrochloride), a medication used to treat depression. Purdue Canada v Collegium Pharmaceutical Inc. Counsel to Collegium Pharmaceutical Inc. against Purdue Pharma in an application under the Patented Medicines (Notice of Compliance) Regulations, as well as a patent infringement action, involving the medicine XTAMPZA ER® (a tamper-resistant oxycodone product used in pain management). Counsel to Valeant in an action for damages under section 8 of the PM(NOC) Regulations relating to Sublinox (zolpidem), a medication used to treat insomnia. Valeant Canada LP v Generic Partners Canada Inc. Counsel to Valeant in proceedings pursuant to the PM(NOC) Regulations relating to Glumetza (metformin), a medication used to treat type 2 diabetes. Counsel to Rosseau Asset Management in a trade-mark infringement and passing off action. Counsel to Venngo in an appeal to the Federal Court of Appeal and a leave to appeal application to the Supreme Court of Canada of a decision relating to trademark infringement and passing off. The proposed regulations amending the Patented Medicines (Notice of Compliance) Regulations were released on July 14, 2017. These Proposed Regulations are a dramatic change from the existing Regulations, both substantively and procedurally. 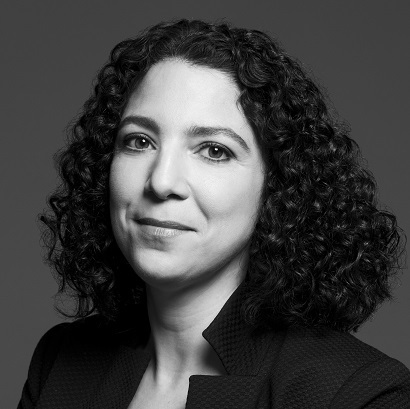 Sana Halwani will be presenting at the Intellectual Property Institute of Canada's webinar called “Basics of Law – Evidence: From Key Principles to Digital Evidence”. The program will discuss fundamental principles of evidence, the latest strategies in collecting digital evidence, and tips on presenting evidence before courts and tribunals. Sana Halwani was the moderator for the "The Paperless Office and Other Legal Tech (R)evolutions" panel at IPIC's 92nd Annual General Meeting. Sana Halwani presented at the Law Society of Ontario’s program “Professionalism Issues in Appearing before Administrative Boards and Tribunals”. She shared expert strategies on dealing with self-represented litigants. Paul-Erik Veel and Sana Halwani co-authored the article The surprising dangers of going paperless that appeared in Precedent Magazine's summer issue. Sana Halwani once again presented on the topic of "Infringement" at the Intellectual Property Institute of Canada's 2018 Patent Case Law Series. Sana Halwani spoke at OBA's Young Lawyers Division program Your First Civil Trial. Her panel was titled “Use of Discovery Transcripts at Trial and Appeal Proofing Your Case”. Sana Halwani spoke on the topic “Reaching the (No) Promised Land: The striking down of the promise doctrine and its effect on Canadian patent litigation and prosecution”. Sana Halwani spoke on the panel "IP Without Tears: An Intellectual Property Law Update for the Uninitiated". This panel discussed how recent major Canadian and foreign cases in the areas of patent, trademark, copyright, and technology will impact companies doing business in Canada. Sana Halwani spoke at OBA's Civil Litigation Program on "Strategies and Tips for Maximizing Your Expert Evidence". She discussed choosing the right expert, properly retaining and preparing the expert and strategies for working on and reviewing the expert's report. Sana Halwani presented at the Intellectual Property Institute of Canada’s webinar on Patent Infringement.